Windows come in a variety of materials. Each material has its strengths and weaknesses. 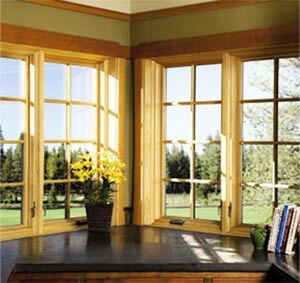 In spite of the evolution of windows, wood is still the king of elegance and refinement. Vinyl is still the vanguard of maintenance-free and budget-consciousness. In spite of that the solutions have become more complex and more expansive. 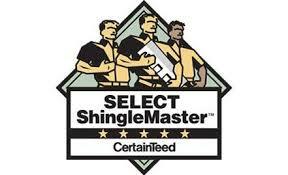 This is a wonderful time for homeowners whether you are on a tight budget or are extremely green sensitive. Here we show you the major construction materials used for windows and explain a little about the pros and cons of each. For a full understanding of your options give us a call for a free consultation. 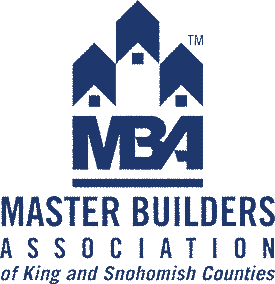 We can explain all the options that impact style and design, energy efficiency, cost, resale value, and maintenance requirements. Wood windows are the gold standard of windows. Highly crafted and gorgeous, they are slowly going out of style due to their high upkeep. 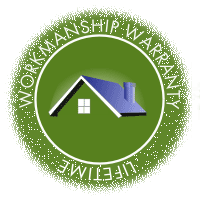 Of course wood windows must be painted and maintained. If you want traditional beauty, a high level of craftsmanship and can afford to take proper care of them, then solid wood windows might be for you. 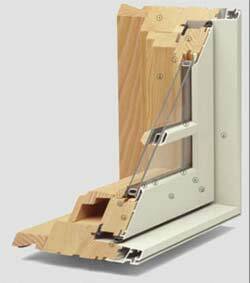 Least expensive of window construction type. Perhaps as low as 1/2 the price of wood windows. Very energy efficient frames due to the honeycomb construction of the frame that traps air in chambers. 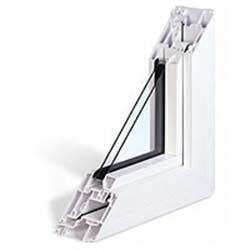 When selecting a vinyl window make sure the frame is heat welded rather than screwed. 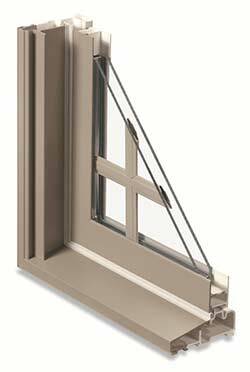 Vinyl windows come in a limited number of colors and cannot be painted. Vinyl clad wood windows offer the maintenance advantages of vinyl windows while providing the warmth and luxury of wood on the interior of the home. As you might expect, they are more expensive than either vinyl or wood but provide beauty and low maintenance. The newest design for windows, fiberglass and fiberglass/plastic composites offer the strength and durability of vinyl. They are made of a material similar to modern car bumpers. They provide improved insulation over vinyl windows and can also be painted, unlike vinyl. 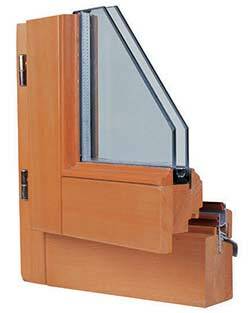 Prices for fiberglass windows falls between vinyl and wood and are quite afforable.